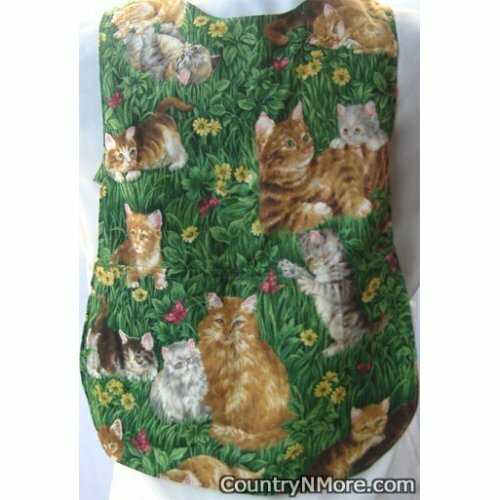 This darling cat family apron is cute as cute can be.The mommy cat is resting on the grass as she watches her little one playing and enjoying the great outdoors. The reverse side was made using a gorgeous floral print. The picture really doesn't do it justice, and I a sure that both you and the little child will be happy with this adorable apron. 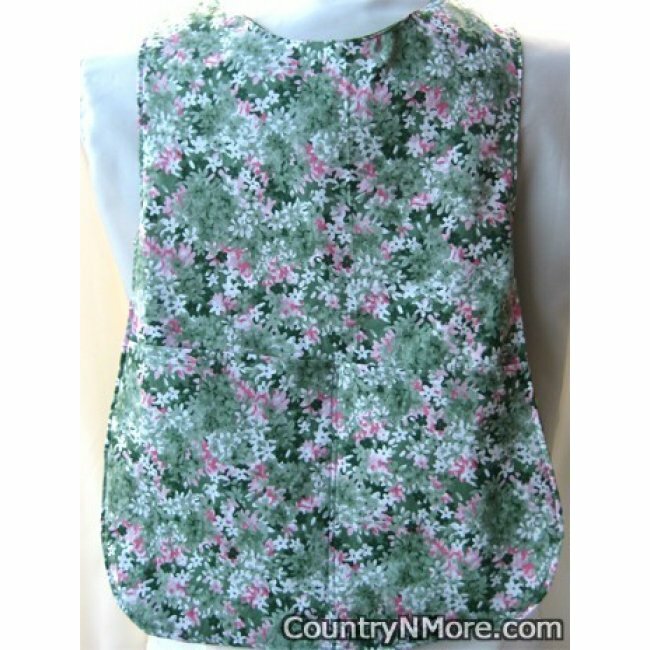 Reversible Cobbler Apron measures 19" in length. Measurement across the front at waistline is 10 1/2" -minimum waist measurement of 21." Apron should fit 2-5 year old girls.